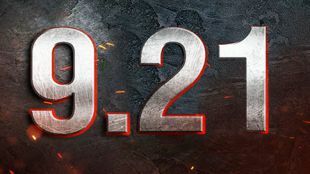 Soon will start common test for update 9.21. In this update you will find an alternative branch of non-standard French heavy tanks, revised British tank destroyers with strong armor, a winter map for the “General Battle”. Is it intrigued? Then let’s begin! multiple shelters allow you to hide from the omnipresent eye of the art. In the regiment of the French arrived. Alternative branch of heavy tanks is presented AMX 65 t 8-th level, AMX M4 mle. 51 9th level, and as the “top” is AMX M4 mle. 54. To get this machines you need to start at level 7 through AMX M4 mle. 45. The new French do not have the usual drum, but there are a strong armor and two top-cannons at once. This greatly changes the game: to keep at a respectful distance from the enemy is not necessary, you can fight with it. Powerful cannon allows you to fight the enemy face to face. In update 9.21, it is planned to make the British tank destroyers from 6th to 9th level a little more armored. A better armor will receive AT 8, AT 7, AT 15, and Tortoise. But AT 2 armor in front, in the sides and the stern will be thinner: statistics showed that the car was too strong for its level. Now opponents who fall into one battle with it will be able to more confidently punch it into the sides and stern – the frontal part, though it became thinner, but still very thick at its level. It is important to remember that these changes are not final: the armor tank destroyers is now at the testing stage. By the release of update 9.21 some indicators may change. In conclusion, the question for the most attentive and experienced tankmen. For a long time with each patch we are adding to the “World of tanks” HD-model. For today there was only one tank, which is available for players to changes in HD, and we have not yet had time to changes it into a new format. Can you guess what kind of tank it is? Write in the comments under the video of your guesses. That is all. Participate in the common test, study the changes and win in the battles. When will start update 9.21? ASAP 31. What's New in 9.7 update?